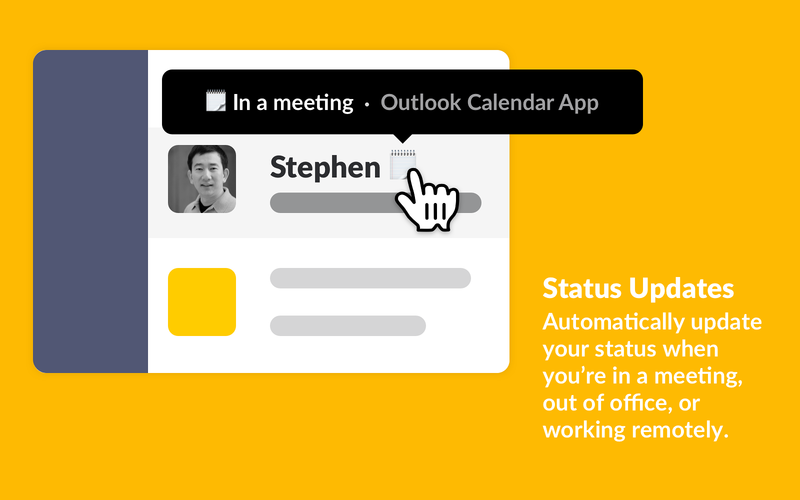 • Automatically sync your calendar to your Slack status to let your team know when you are in a meeting, out of the office, or working from home. 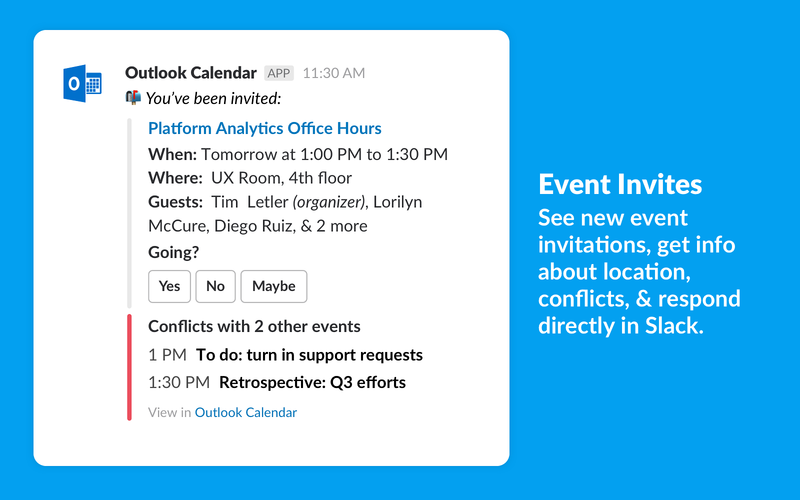 • Respond directly to event invitations. 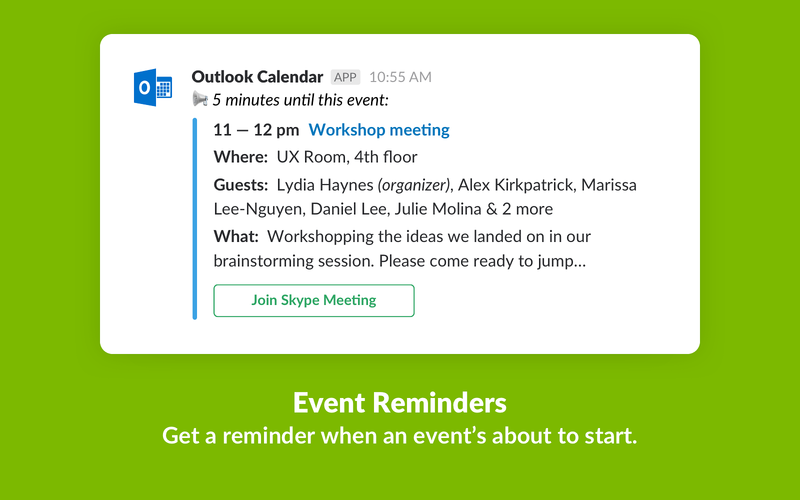 • Join a Skype for business call directly from the calendar reminder in Slack. • Get updated when an event’s details change, and change your response as needed.This app is subject to the Slack integration terms & conditions. 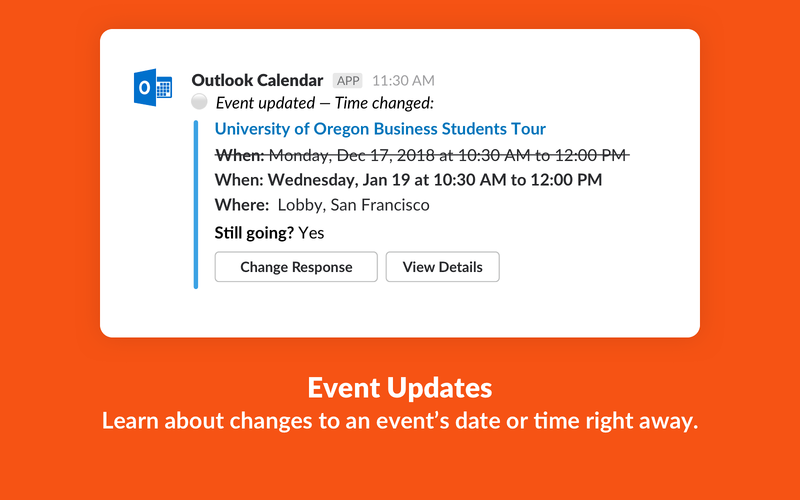 Outlook Calendar will be able to modify your profile fields, as well as any data you entered in them. 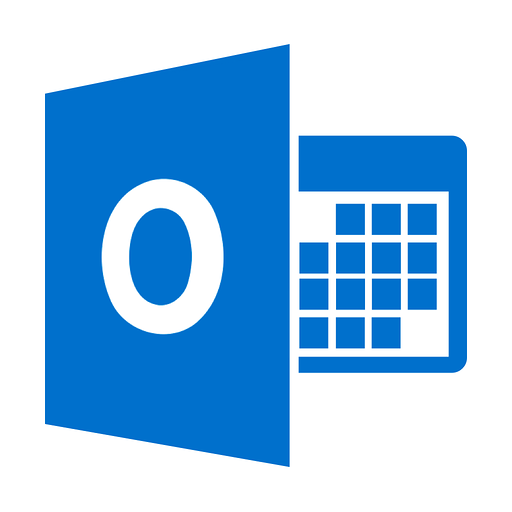 Outlook Calendar will be able to install a bot user that appears in and has access to your workspace’s directory. It can also post messages and view activity on messages in any channel it is invited to.